Minnesota Wisconsin Playground, GameTime and Unlimited Play partnered with the City of River Falls to design and build Tri Angels playground in River Falls, Wisconsin. The playground was the idea of Jessica Peterson. Peterson’s three daughters, Amara, Sophie and Cecilia Schaffhausen, were victims of a tragic act of violence in 2013. The entire community of River Falls mourned the loss of the Schaffhausen girls and sought to honor their memory with an inclusive playground. The project was brought to the attention of Unlimited Play through a donor who helped raise funds for Unlimited Play's inaugural project, Zachary's Playground in Lake St. Louis, Missouri. He shared the vision and work of Unlimited Play with Peterson and introduced her to Victoria Schmitt-Babb, the Community Engagement Director for Unlimited Play. Together, they saw an opportunity to leverage the organization’s experience to create something positive for the community - a special place for children of all abilities, a place of hope and of healing. 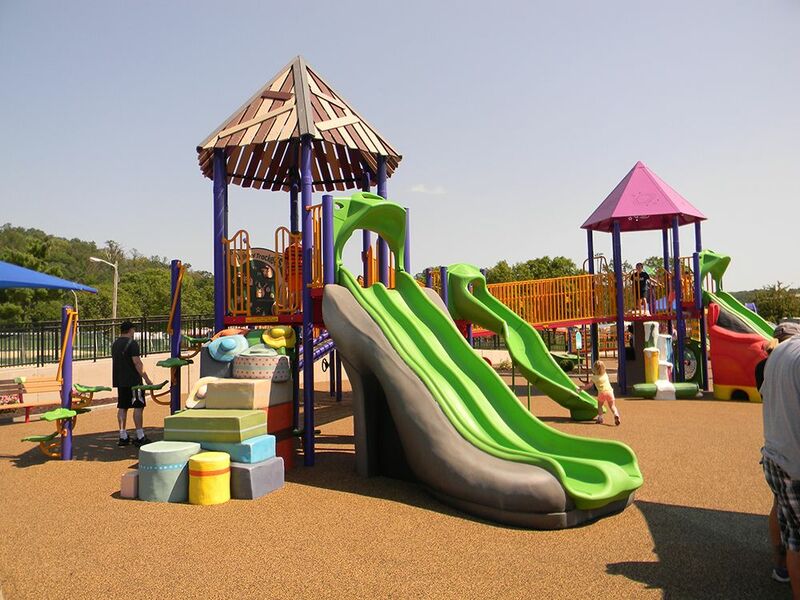 To capture the spirit and personality of the three sisters, Unlimited Play turned to GameTime and its custom play division, PlayWorx, to create themed play areas that symbolized the lives of Cecelia, Amara and Sophie. Cecelia loved bugs, so PlayWorx designers sculpted insect and butterfly-themed play elements. Amara was a soccer player and loved science, so the playground features a soccer-themed climber and a giant microscope that children can play on. Sophie was an artist who loved fashion. Her artwork adorns the tops of the play structure and the slides are designed to look like shoes. The entire playground is designed to provide accessible routes of travel and inclusive play activities so that children of all abilities can participate. It took a committee of local citizens, lead by Unlimited Play, less than 2 years to raise the $555,000 needed for this unique, destination playground. 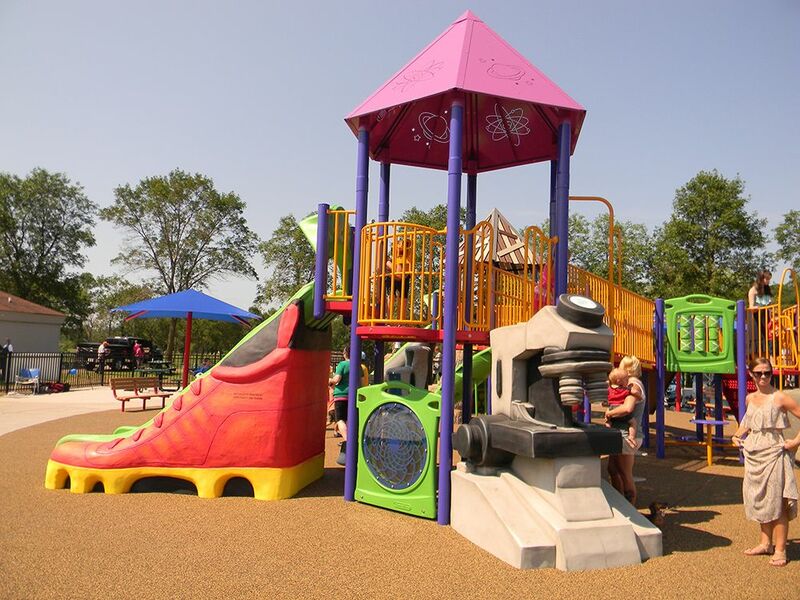 The playground opened on August 15, 2015 and was funded by generous gifts form the people of River Falls, as well as bake sales, lemonade stands and 5k charity races.